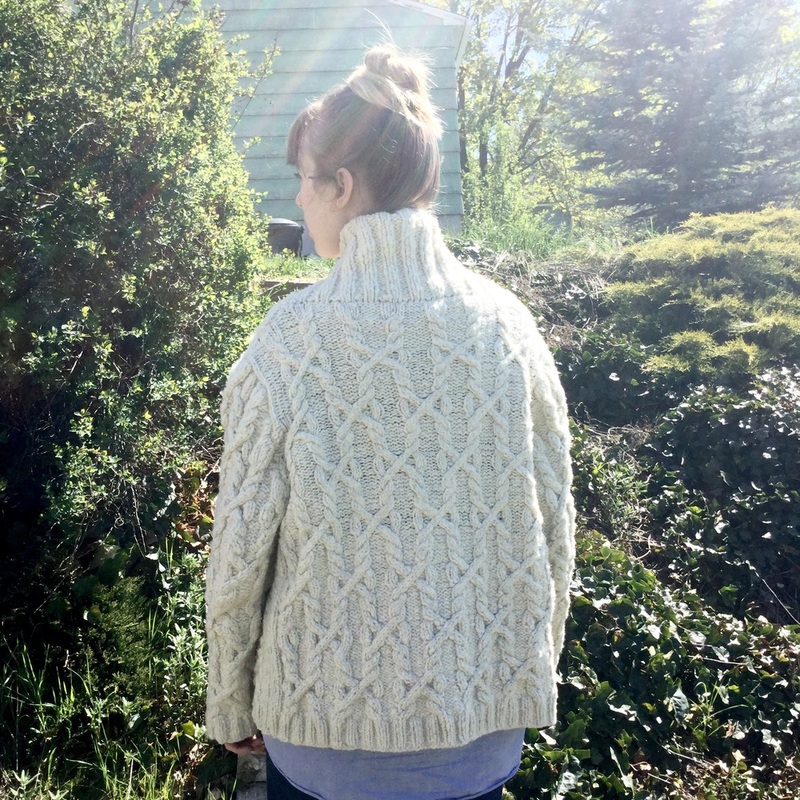 I am very happy to announce that, as of this week, I was able to finish my first sweater made from hand spun wool that I spun as I knit. As with the nature of being a beginner spinner, it took me a couple boobins worth of navajo ply to really get a good consistancy, and even then, my yarn became bulkier the closer to the end. 1. I found that my gauge when knitting was changing while spinning as I went. 3. Because of the gauging issue, the armseye in my sweater came out a bit big. But, I am going to roll with it for now as it has a ton of ease to allow for lots of layering. 1. Sense of pride first and foremost in myself for learning and utilizing a new tool in my knitting arsenal. 2. 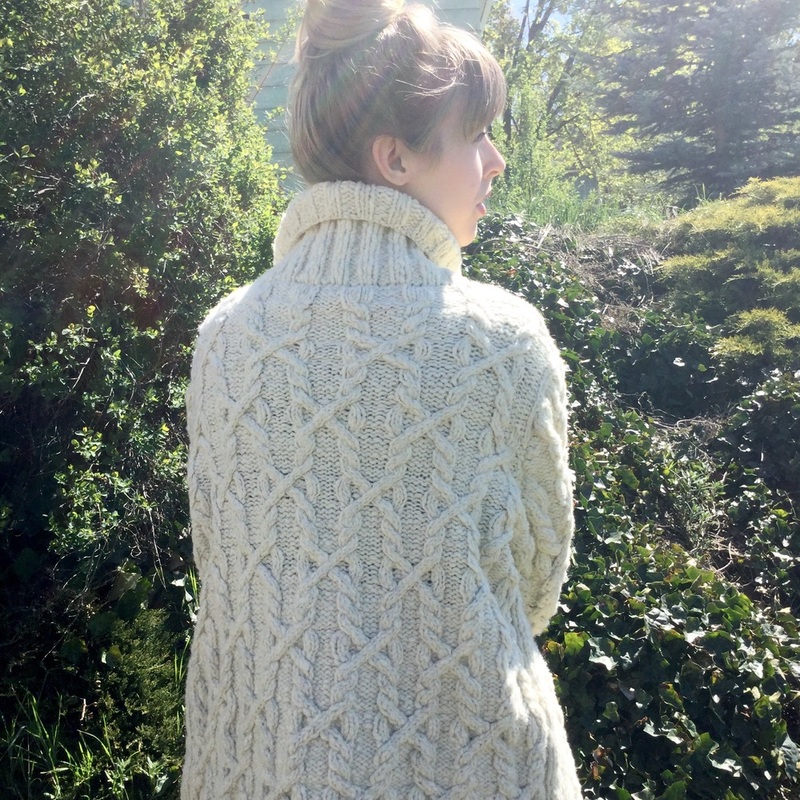 The characteristics of the yarn make it feel very durable and rustic in nature, like I would be on a sheep farm. 3. The way it felted up makes me feel like this sweater is invinsible. To top it off, I was able to use handmade antler buttons from The Yarn Underground. These perfectly encapsulated the bespoke vibe I was going for and fit in with my PNW sweater. All in all, I am very happy with the final outcome, even if it is 70+ degrees in eastern Washington today. 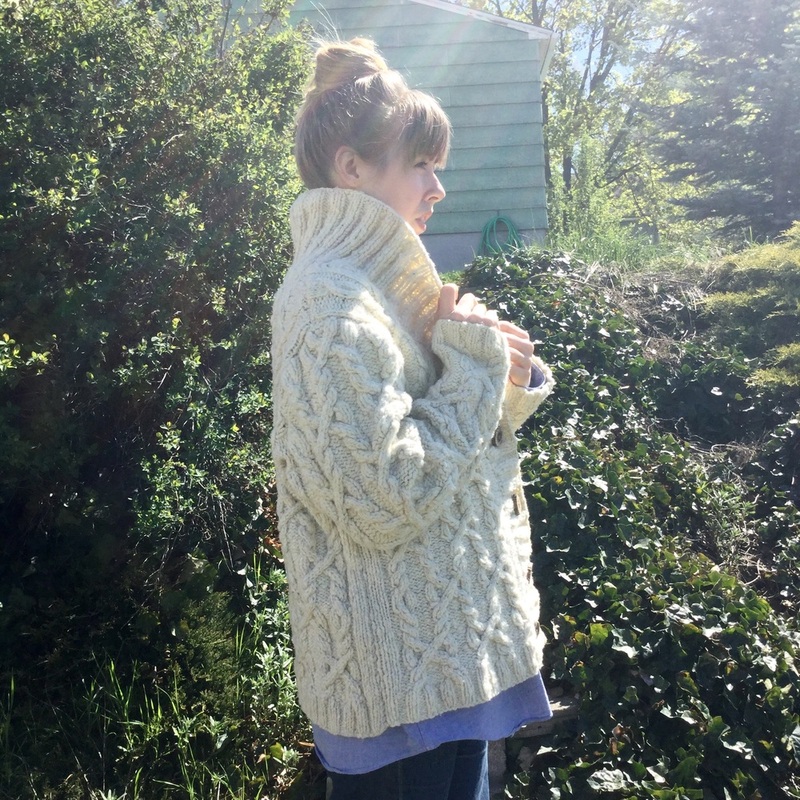 The Snoqualmie cardigan pattern was very simple and hade very minimal shaping. Highly suggest it!